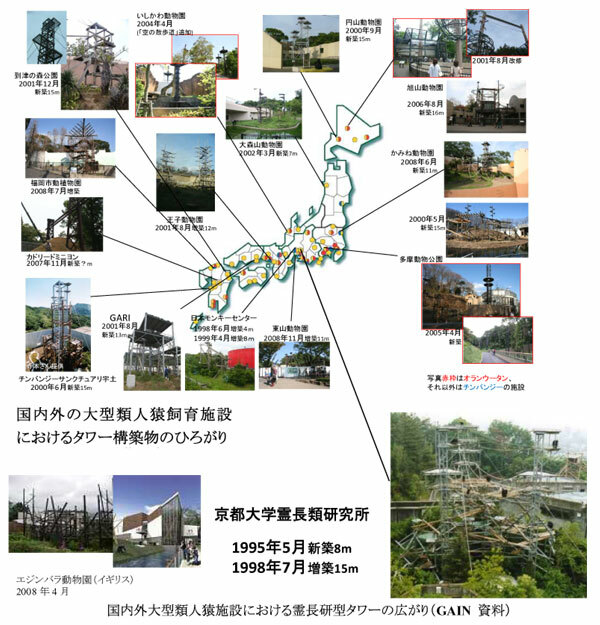 The Great Ape Information Network（GAIN）aims to create a database of high quality and transparency on great apes in Japan. As of 24th Oct., 2010, 335 chimpanzees, 24 gorillas, and 52 orangutans are living in Japan, all of which are valuable for the promotion of science. To understand the evolutionally origin of humans, research on the non-human great apes―the three genera other than the genus Homo―is necessary. Today, all species of great apes are endangered in their natural habitats, so those in Japan are also critically important from a conservation perspective as well. Our database contains various information concerning all individuals, including personal histories, family trees, genetic traits, and behavioral characteristics. Please visit our website.